The S&P 500 is trading at all-time highs, and many well-known businesses are leading the charge. Time to buy or sell? America's favorite tech stock has gotten its groove back -- and then some. Apple (AAPL) continued its record run this week as investors cheer strong iPhone sales in emerging markets and bet on the success of the upcoming IPhone 6, which is expected to benefit from strong phone upgrade demand. The stock's all-time high follows a long and slow grind back to the top after its last record set back in September 2012. The company did a seven for one split in June. Even though that didn't change the value of the Apple, it made it easier for average investors to purchase shares a lower price. 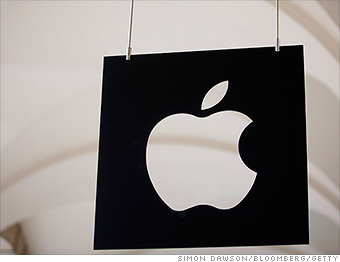 Some investors likely wish they had bought when Apple stock was under $100 this summer. But does the world's biggest company by market value still have room to run? Wall Street sure thinks so, with 77% of analysts on FactSet giving it a "buy" rating.